PermaSEAL 3 Clear is a high quality wall and floor damp proofing membrane suitable for use internally primarily above ground to isolate damp walls and floors. 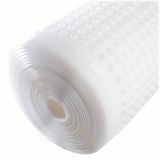 PermaSEAL 3 Clear damp proofing membrane is a high quality, high density polyethylene (HDPE) membrane suitable for use in damp proofing structures above ground. 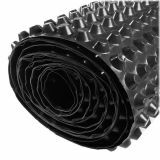 The low profile stud depth of just 3mm makes it versatile, suitable for use as both a wall and floor-applied membrane. PermaSEAL 3 Clear is used when the wall finish in front of the damp proof membrane is timber battens, metal track system or a block wall. PermaSEAL 3 Clear is guaranteed for 30 years and has a life expectancy of at least 50 years. PermaSEAL 3 Clear is an inert product with high compressive loading stability. It is highly resistant to water, alkalis, saline solutions and organic acids, and is not affected by minerals. It is also resistant to bacteria, fungi, and other small organisms. Our innovative PermaSEAL Quick Plug is used when fitting the PermaSEAL 3 Clear to the wall. 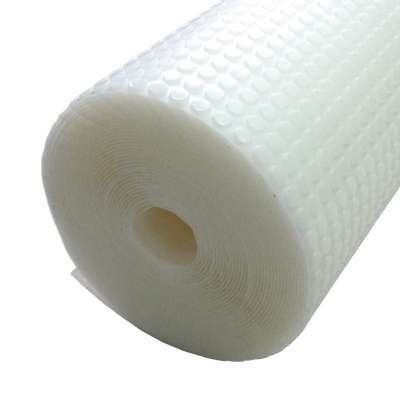 This clear damp proofing membrane can accept a range of wall and floor finishes. PermaSEAL Quick Plugs and Brick plugs accept screws which allow for the addition of batons and metal lath systems. This can then be insulated before the addition of plaster board finish. When used as a floor membrane, it can accommodate insulation, underfloor heating, screed and floating floors. Note: Clear membranes should be permanently protected from UV light as this can affect the membrane making it brittle and substantially shortening its service life. This applies for storage and when installed.